Dec. 5, 2017 (Rye, NY) – A new report reveals the biggest unmet consumer need among nine components in a goals-based wealth management program and the growing role of the spouse in retirement planning, according to Hearts & Wallets, the source for retail investor data and insights. The report is one of the Hearts & Wallets Timely Topics, which cover new research on current industry themes, debates and emerging issues. The ideas and analysis are drawn from the latest fielding of the Hearts & Wallets Investor Quantitative™ Database (IQ™ Database). The IQ™ Database is recognized as the largest single dataset on U.S. retail consumer attitudes, behaviors and buying patterns with over 40,000 U.S. households. Before retirement, other pressing life goals eclipse retirement. In part, this shift is related to the changing nature of work and the growing disconnect between retirement savings programs and the employer. After retirement, consumers focus more on investment goals with consumers of different asset classes having different goals. The examples where the IQ™ Database strongly suggests spouses are being included more because they are cited as an inspiration by these firm’s customers are TIAA, Wells Fargo Bank (NYSE: WFC) Merrill Lynch (Bank of America Corporation NYSE:BAC) and Charles Schwab (NASDAQ: SCHW). 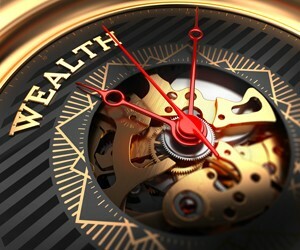 Retirement Income to Goals-Based Wealth Management is a timely topic insight module report that analyzes consumer attitudes and behaviors and analyzes the customer ratings for 19 big banks, brokerages, employer and mutual fund firms cited most often by over 5,000 participants in the most recent fielding of the Hearts & Wallets Investor Quantitative Database™ (IQ Database™), which contains over 40,000 households since 2010.